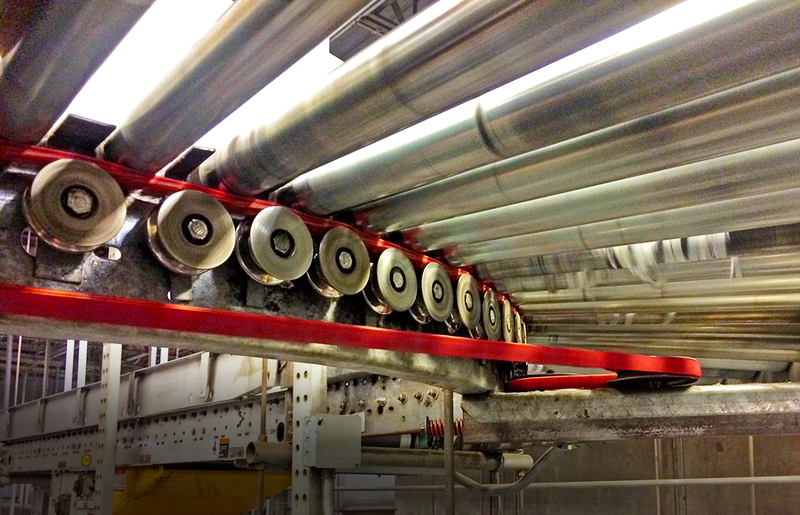 Roller Drive is the ideal solution for minimized downtime on belt-driven live roller conveyor systems. The proof is in the numbers. Current belts required replacing every 2 years due to wear and fatigue. Excessive time in replacement tearing down the conveyor system to replace belts, causing 90 minutes of expensive downtime. Belt life has doubled to 4 years. The combination of high strength and low elongation under load resulted in increased V-belt longevity and durability. Easier installation without dismantling idler pulley systems. Belt replacement time was cut by 78% down to 20 minutes. 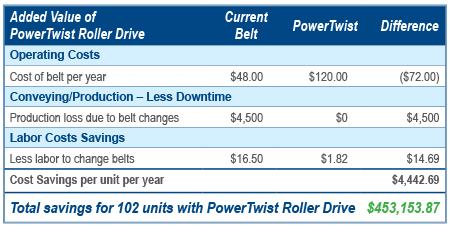 Find out how you can save with PowerTwist Roller Drive.